Food can make you sick, or it can make you feel amazing. That’s why Molly Brown, Ph.D., D.N.M., chooses wisely. Molly opened Glow Juice Bar & Café in July 2008 to share the healing power plant-based foods with others in the community. 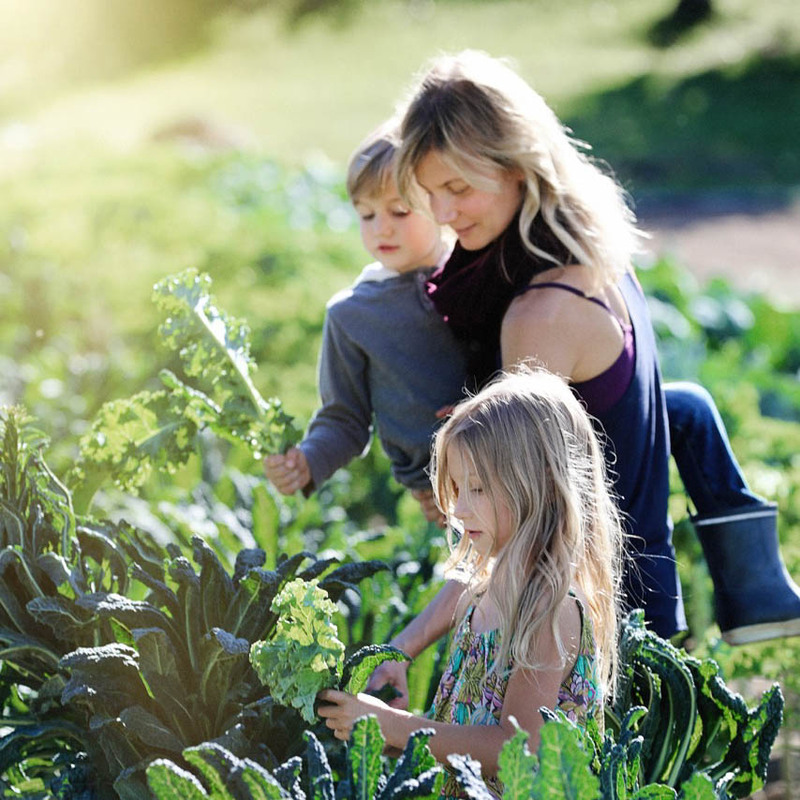 With a master’s degree in plant-based nutrition and a Ph.D. and Doctorate in Natural Medicine, Molly understands the value of food grown close to home, which is why Glow features organic herbs, greens, produce and beans from local and regional farms. “As soon as you start eating local foods and realize how much more energy, flavor and quality you receive, you can never go back,” she explains. What inspired you to open Glow? I wanted to open a place for conscious community around healing and plant based foods. The live foods and plant based foods we create at Glow are so flavor filled, nutritious, and healing. As I opened my health practice, I realized that it’s difficult to just tell people how to make positive health choices, it’s better to have a place that provides it, creates a lifestyle, and community, and facilitates health promoting choices. Cleansing is an important part of my health practice as well, so I wanted to have a place to be able to create a health promoting cleanse plan, so many cleanses either miss the point or don’t truly facilitate cleansing. When you cleanse your body you learn so much about food and it’s impact on your health. You’re a big proponent of fresh locally grown food. Why? The quality of locally grown, fresh picked produce does not compare to store bought produce. It is so important to visit the farms, know the farmers, and see the product in the fields, and the farming methods. The quality and vibrancy are so much higher with freshly picked and grown foods. Locally grown foods are such a privilege to eat and to be able to buy. We are so lucky here in Idaho to have as much as we do, in this small mountain town. How much do you source locally and why? As much as possible, herbs, produce, greens, beans, etc. What local farms do you buy from? Springs of Life, which does veganic agriculture. Purple Sage, Shooting Star Farms, M&M Heath Farms, etc. We buy from most of the farmers that grow with organic methods. How do you feel about organic? I feel that organic food is an absolute bare minimum. We must not eat non-organic food as that directly contributes to putting chemicals in to our bodies, leading to all sorts of chronic illness. I feel that families should make it a top priority to buy only organic food, and visit restaurants where they know the restaurants use organic foods. What are your most commonly used “arguments” for eating live food? There’s so many! In terms of health: Vibrancy, improving digestion, clearing inflammation, increasing energy, decreasing pain, healing chronic and acute conditions. Environmental health: contributing to healing the soil, decreasing carbon footprint and greenhouse emissions, and water intake, decreasing deforestation, decreasing suffering of animal agriculture and husbandry, and it goes on and on. I think it’s important to feel your personal best every single day. We live in a busy time, we have kids, jobs, spouses, sports, travel. The more energy I have, the happier I feel, the more I can be with my children, and the better I feel about the things I do, the more I can do. There are indisputable reasons to move toward a plant-based diet for personal and planetary health, and more and more people realize that every day. It’s an exciting time! You’re a mom of young kids. How do you teach them to make healthy choices? I always lead by example. I explain to them the importance of eating healthy food for high energy and performance, and to feel their best. They see that some of the kids they know are very hyper and can’t concentrate, and recognize that the candy they see them eating plays a significant role. We can make healthy food choices and avoid so many health problems and so much of the medication kids and adults are on. We talk about choices honestly and openly. Food choices pave the way for more difficult choices down the road. The only time they’ve had food with dyes in them, they’ve both gotten really sick, and then I pointed that out to them, and they so far, see the value in eating well and feeling their best. So I generally see that it takes care of itself. What’s your end goal or what impact do you hope to have in terms of food? Plant-based food for environmental, health, and consciousness reasons will continue to grow tremendously. I read the other day that worldwide – demand for plant based foods increased 987% in 2017. This is amazing. Our planetary consciousness is shifting right now. It has to, we cannot continue on like we are. – treating others, people and animals so poorly, so inhumanely. People want to feel better. Americans are so sick. We have the instant power to change that by making positive health choices. Most colleagues in health-related fields agree: eat more plants, eat organic. That’s how simple it is. That alone sets us on the right track. Have a “meatless Monday” day or family dinner, that’s a great start. I like to make it very simple, and don’t worry about the rigidity of diets, or whatever label people like to put on the diet they are currently doing, or arguing about meat or not meat. It doesn’t really matter. We want to look at the bigger picture, the food consumption and farming practices on a larger scale, and how it impacts the world we live in. I emphasize eating whole, organic foods with a live food plant based emphasis, and the rest seems to take care of itself. People in general have too much anxiety around food and the simpler the better, for all involved. The more places that serve organic and healthy food the better. I think this town is doing a pretty good job with healthy choices, and I love to see when new places open with an organic emphasis. What change would you like to see in the Wood River Valley in terms of food? Just more of what we’re doing, more restaurants offering organic and local foods.